SUNDAY, June 3, 2012 (Health.com) — Do-it-yourself "bombs" or "foggers" that target bugs by filling entire rooms with aerosol insecticide are billed as an easy, cost-effective alternative to pricey pro exterminators. 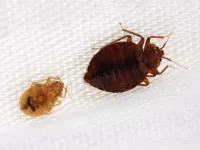 Although these products are indeed cheap, retailing at hardware stores for around $10, if you use them on bed bugs you're likely to get what you pay for. In a new study, the first of its kind to be published, entomologists at Ohio State University tested three commercially available foggers—sold under the Hot Shot, Spectracide, and Eliminator brands, respectively—and concluded that all three products were virtually useless at fighting bed bug infestations. Can You Get Bed Bugs at a Movie Theater? In a 2008 report, the Centers for Disease Control and Prevention indicated that at least 466 fogger-related injuries or illnesses were documented across eight states between 2001 and 2006. The most common ill effects—such as headaches, nausea, and coughing—tended to be minor and short-lived, although hospitalization was required in 21 cases. Jones and her colleagues began by collecting five different populations of bed bugs from residences in Columbus, Ohio. For a control group, they added a sixth population, known as the Harlan strain, that has been cultivated in a laboratory—and carefully sheltered from pesticides—since 1973. Next page: So what gets rid of them?